With its standard low lead refill and pop of pattern on the textured black rubber grip, the plastic ?Value Plus? 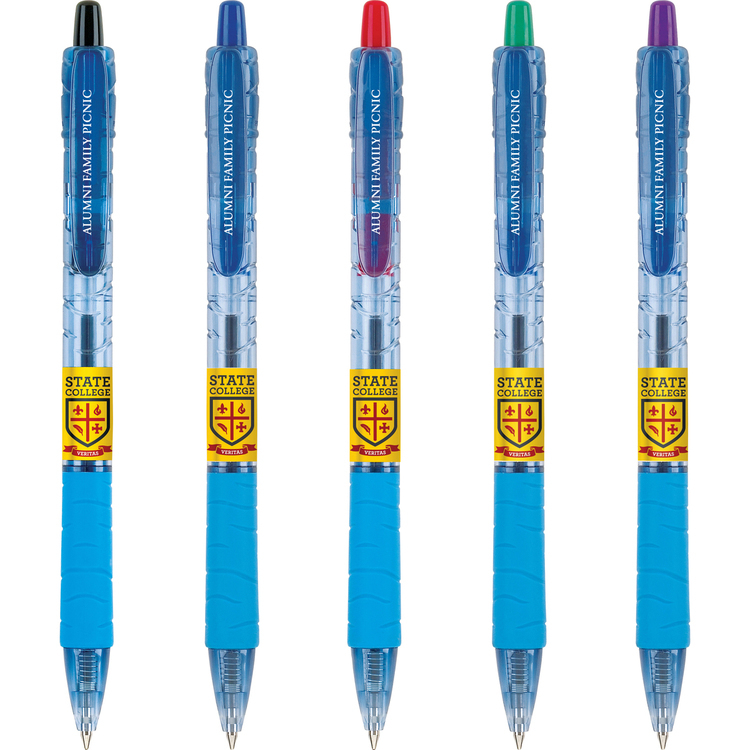 Sydney pen looks anything but economical. 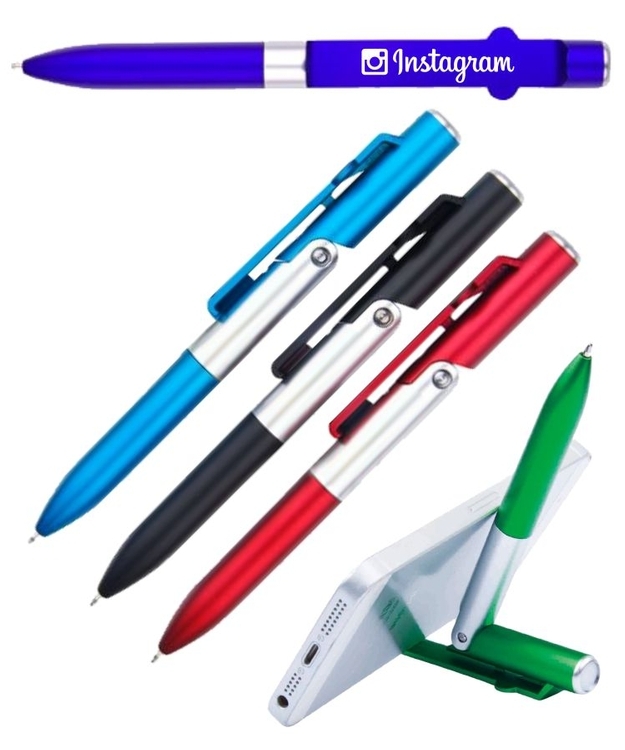 This Slim Jen Stylus Pen with its long slim body, click stylus pen has become one of the most popular pens in the advertising industry. Offered in several eye-catching metallic color barrels & silver trims , this pen is exclusive & unique. Black ink refills. 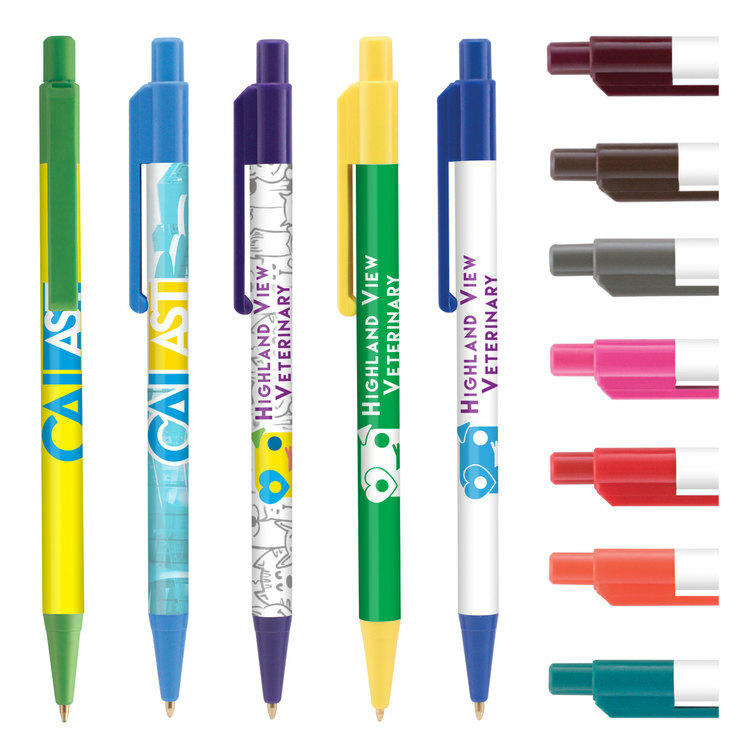 Add a touch of vibrant color to your marketing plan with this Colorama+ Pen! This plastic pen is USA made with US and import parts. 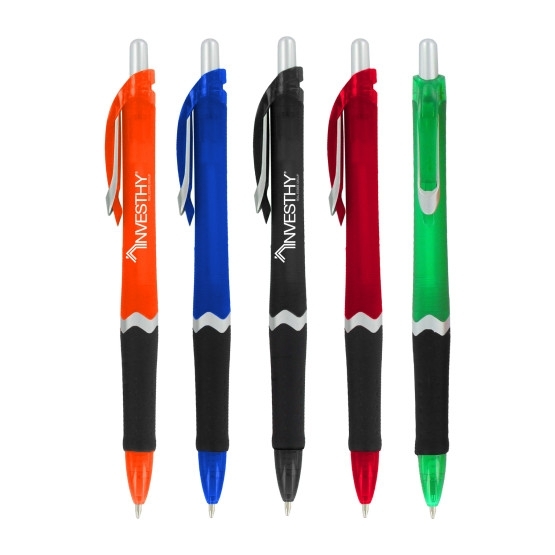 It's one of the industry's most popular pens and accented in your choice of 12 trim colors. It features our SimpliColor (TM) printing process, giving you one of the largest one to four color process imprints with virtually unlimited color choices. It also comes with our gel-like, Eversmooth (R) hybrid ink, providing an extraordinary writing experience in black and blue ink choices. Brighten up each recipient's day! 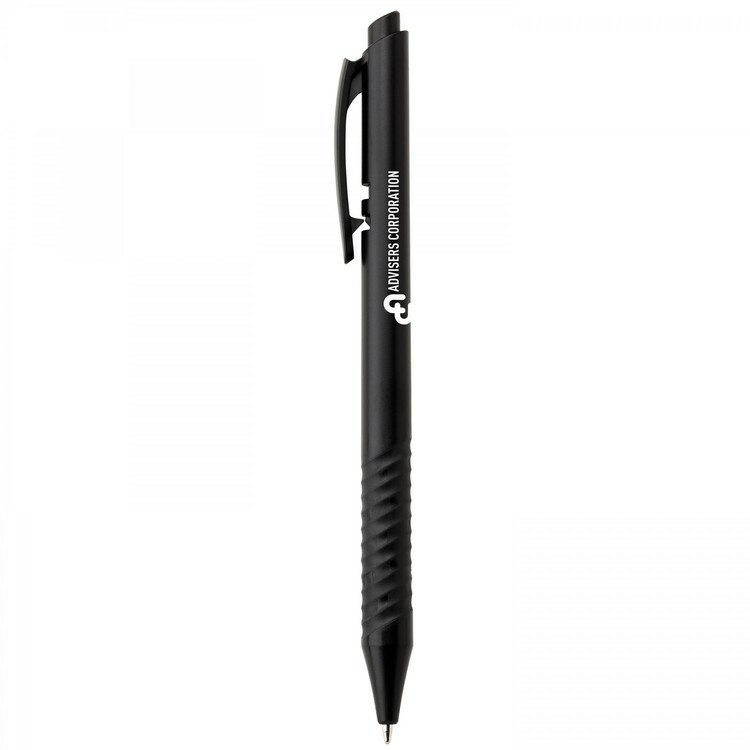 The Sol Stylus Pen has a unique black grip that features cut outs exposing the barrel color underneath. Mimicking that design element is the unique die-cut "S" of the Souvenir® icon on the barrel. 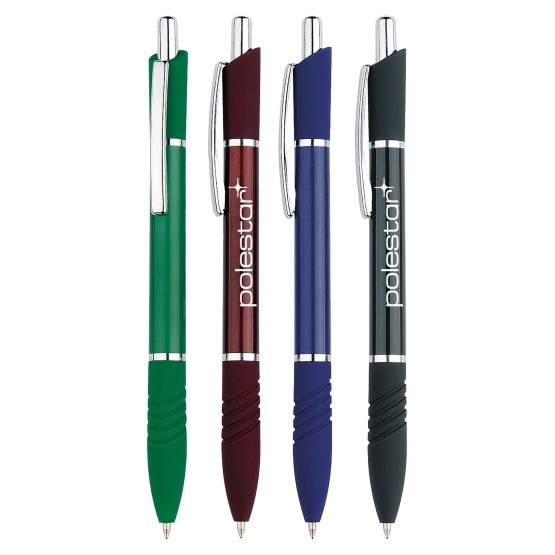 The rich colors and contrasting black clip and grip provide a trendy, modern backdrop for the screen print imprint; and the chrome plunger and tip perfectly complete this modern stylus pen. 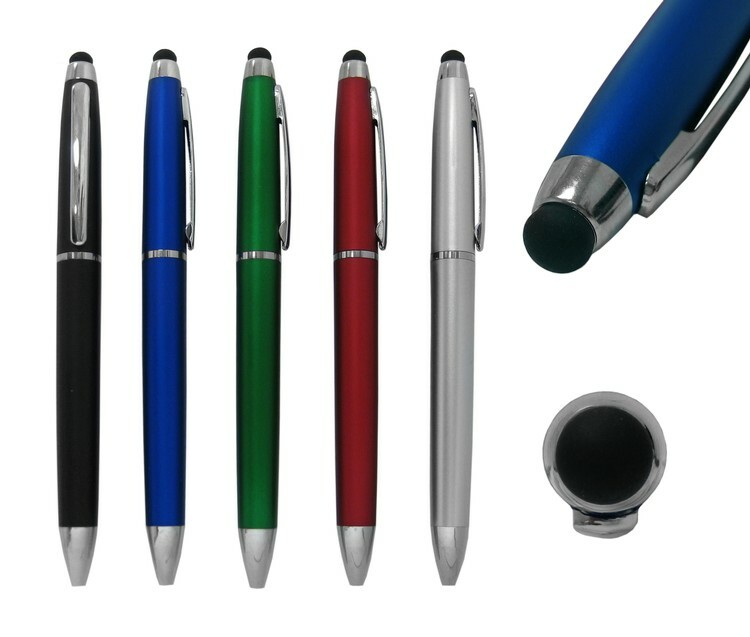 The Story Stylus Pen is multifunction with high style. The gunmetal barrel is complemented by a chrome plunger and tip with black clip and grip. The unique grip is accented with an avant-garde "S" in your choice of eye-catching color or sleek black to match the Souvenir® emblem on the barrel. 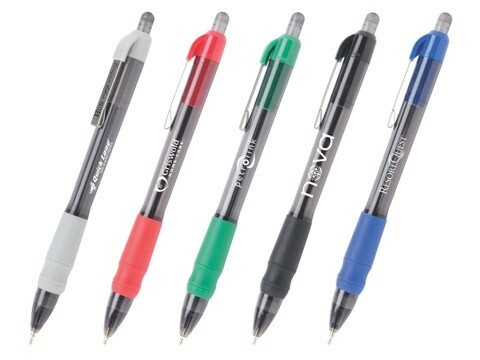 A 1.2mm bold write-out offers a smooth consistent writing experience. 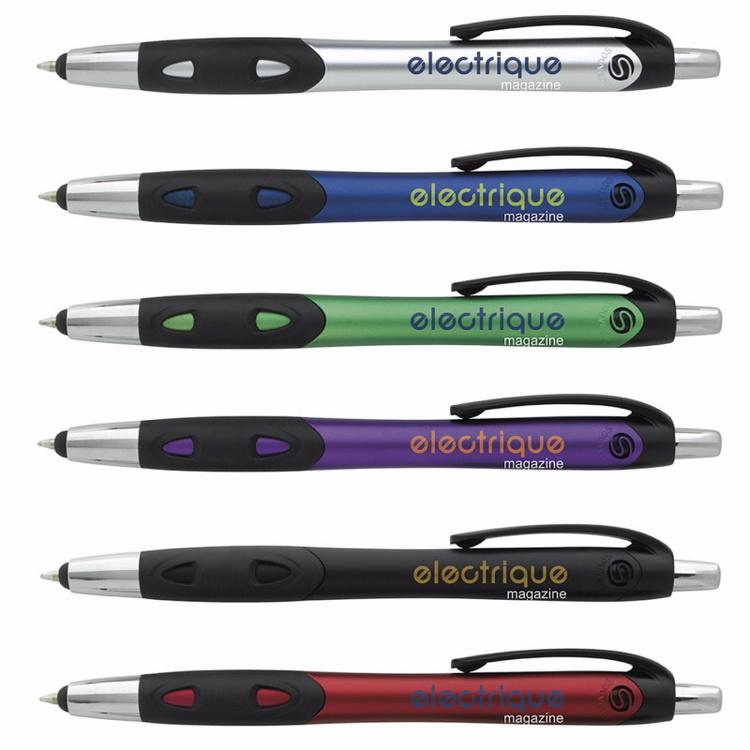 Step into the future with the Electric Pen. With a design inspired by aerodynamics, grooves in the matte finish barrel help this pen fit comfortably in your clients' hands. The distinctive clip design showcases the Souvenir® logo while the black accents perfectly frame the screen print imprint. Includes InstaGlide® upgraded ink formula at no extra charge for a smooth, consistent write-out. 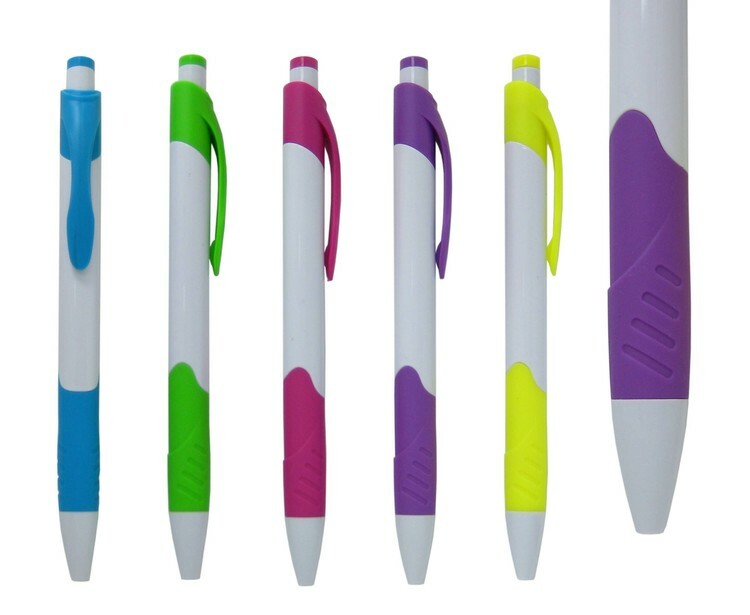 Make a colorful splash with the TFW Pen. Each plastic barrel is a stunning mix of bright hue and white, with a die-cut Souvenir® icon detail for an added punch of style. 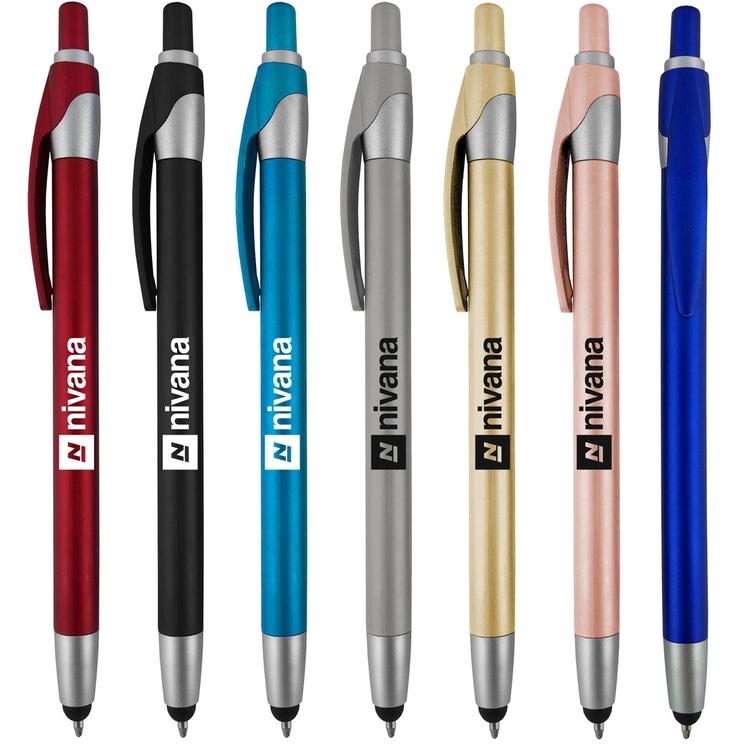 With InstaGlide® hybrid ink, distinctive clip and embossed grip, this pen is unlike any other at a price point your clients will love. 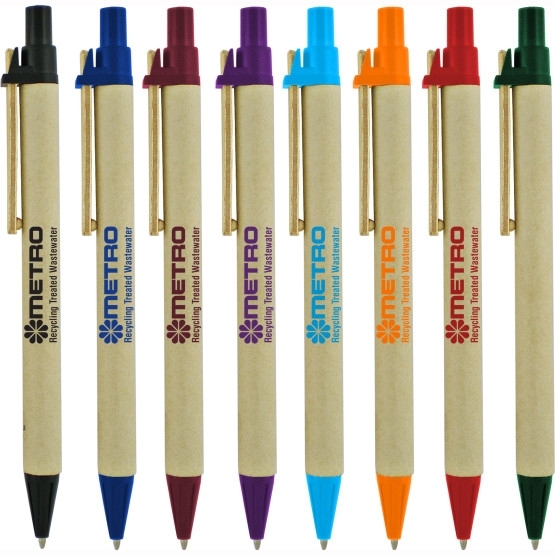 Environmentally friendly retractable ballpoint pen featuring a recycled cardboard barrel, recycled wood clip with recycled plastic trim and tip. Black ink refill. Price includes a one color screen print imprint on barrel. 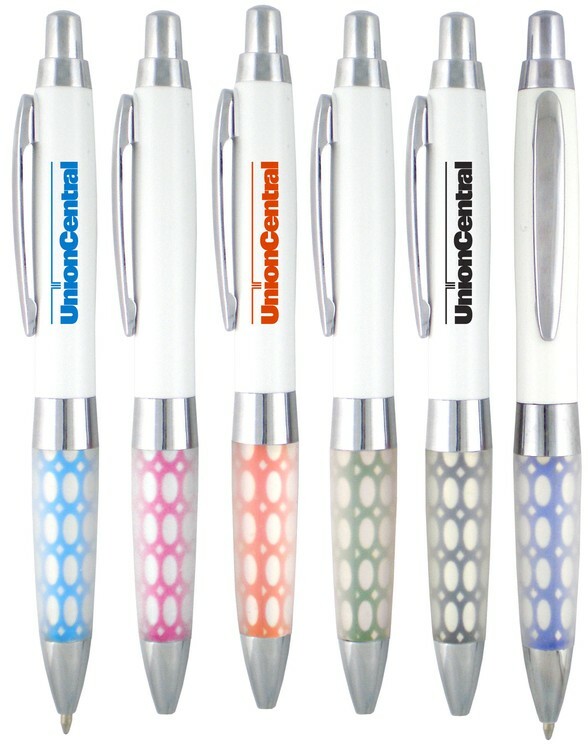 Plastic retractable ballpoint pen with metal clip, nickel plated trim, white grip and translucent silicone grip over colored design. Black ink refills. Bulk packaging. 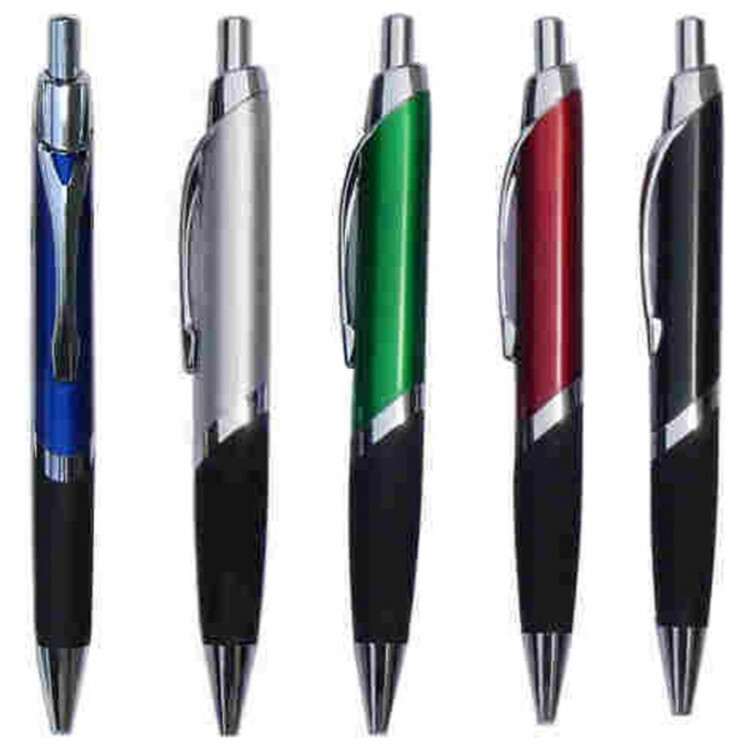 Plastic twist ballpoint pen featuring nickel trim. Black ink refill. 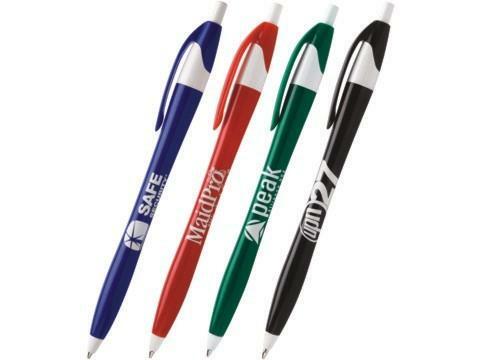 Plastic retractable ballpoint pen featuring a matching rubber comfort grip and chrome trim. Black ink refill. Price includes a one color screen print imprint on barrel. Plastic twist action ballpoint pen featuring gold tone trim. Black ink refill. 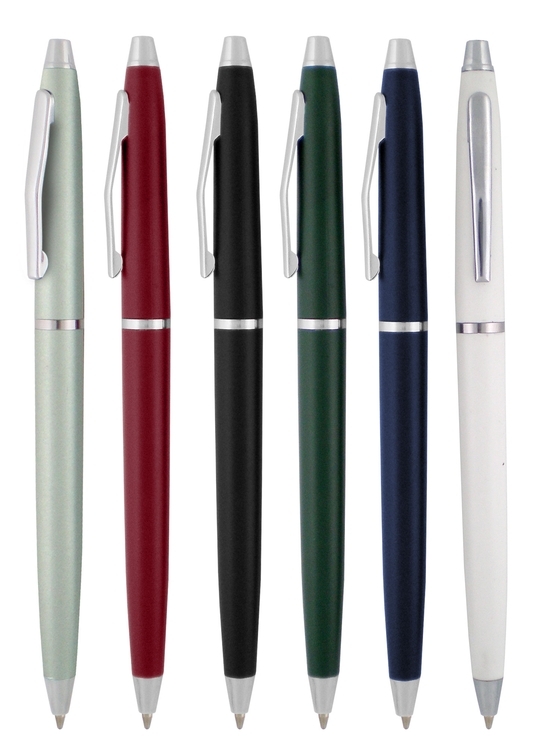 Plastic twist action ballpoint pen featuring nickel trim. Black ink refill. 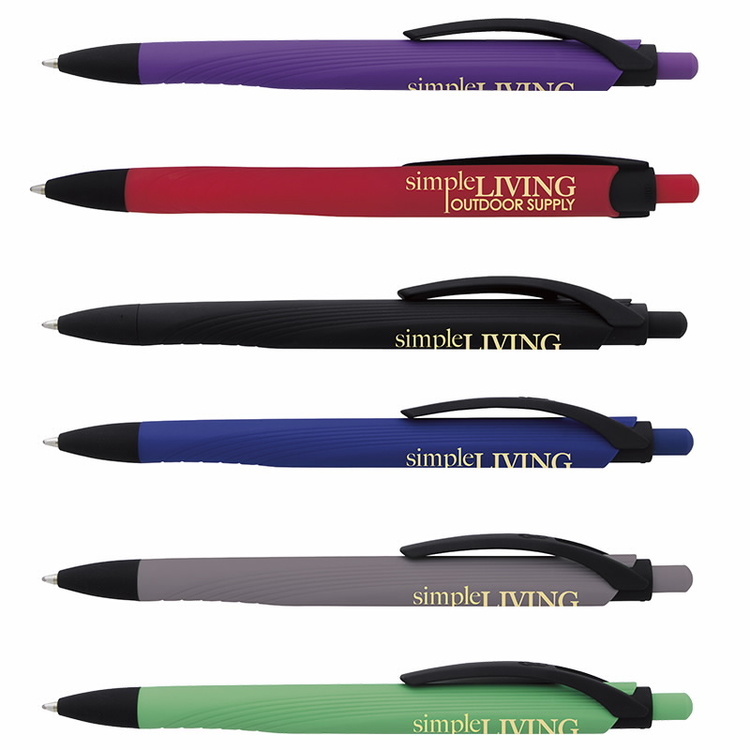 This retractable plastic pen is perfect for business or home writing needs. 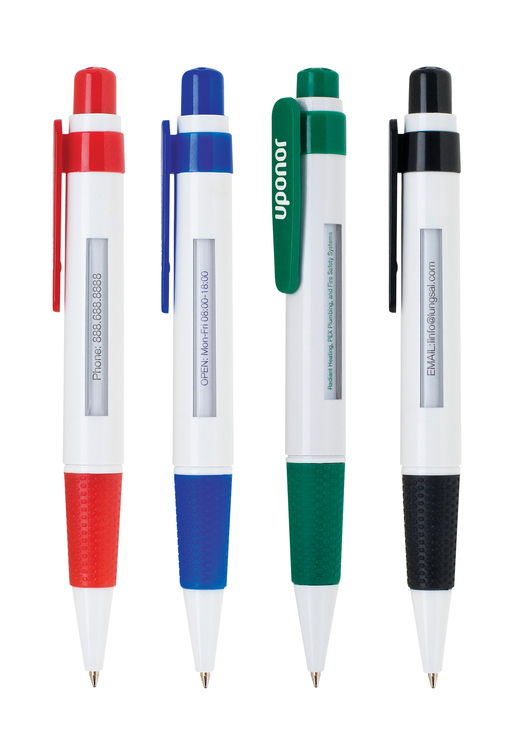 Solid and strong click-action retractable offers you a choice of several fresh barrel colors. Union Printed, "Phone Stand" Twist Pen, Features A Metallic finish Barrel with Trim for an Elegant Look, Features a phone holder stand! 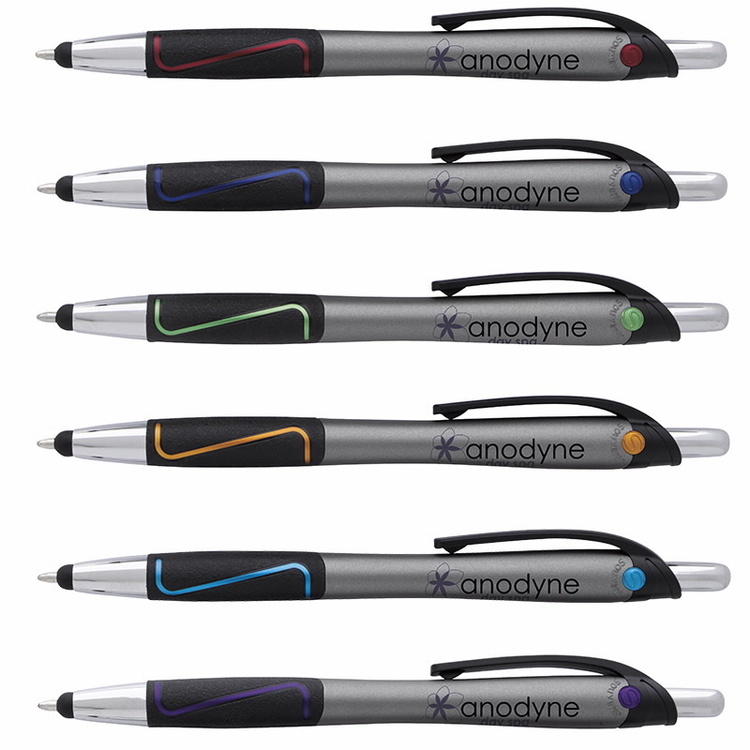 This Popular 2-in1 multi function pens will immediately become a hit at your upcoming trade shows! 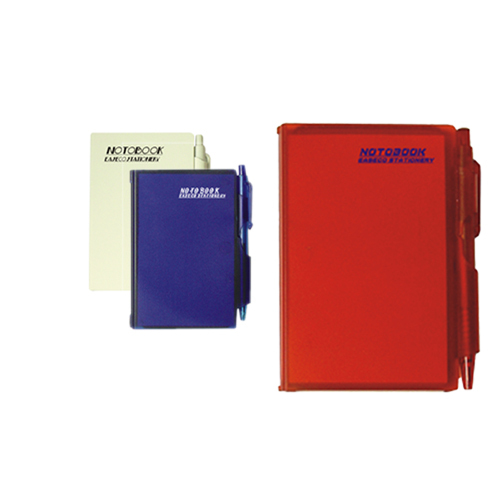 Manufactured with strong and durable plastic bodies that will stand the test of time and everyday use, Your company logo is imprinted One Color on the Clip. Decorated in our Union Shop - Union Bug Available at No Charge! A translucent plastic note pads include a matching pen. Imprinted with your logo or promotional message,this note pad is a useful promotional gift for students and youth organizations. 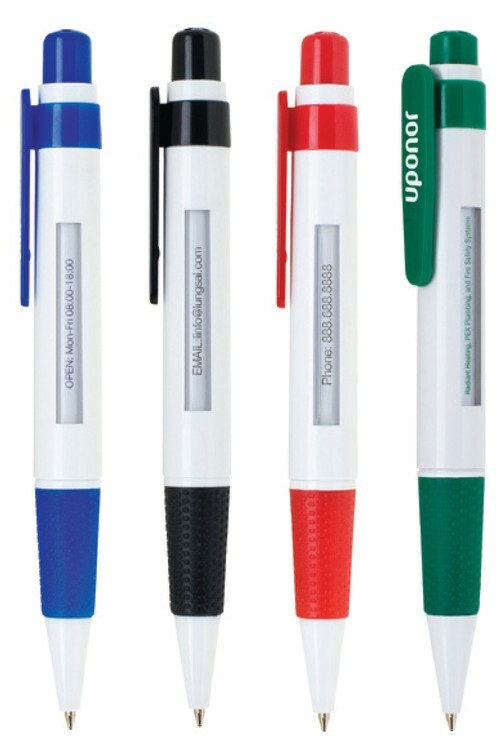 Business pen with translucent color accents, the click pen is made of plastic. 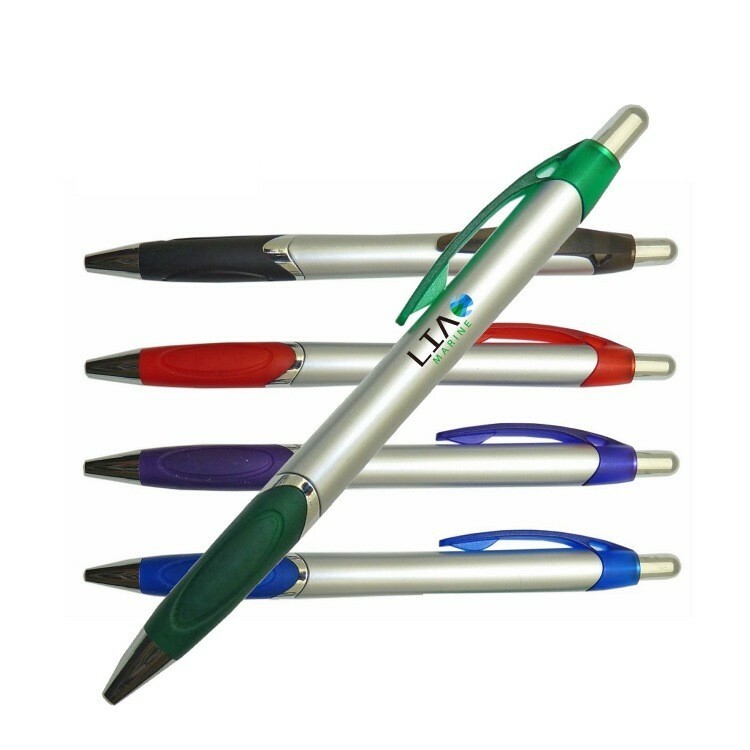 The promotional pen is retractable. The ball point pen is black ink & medium point. 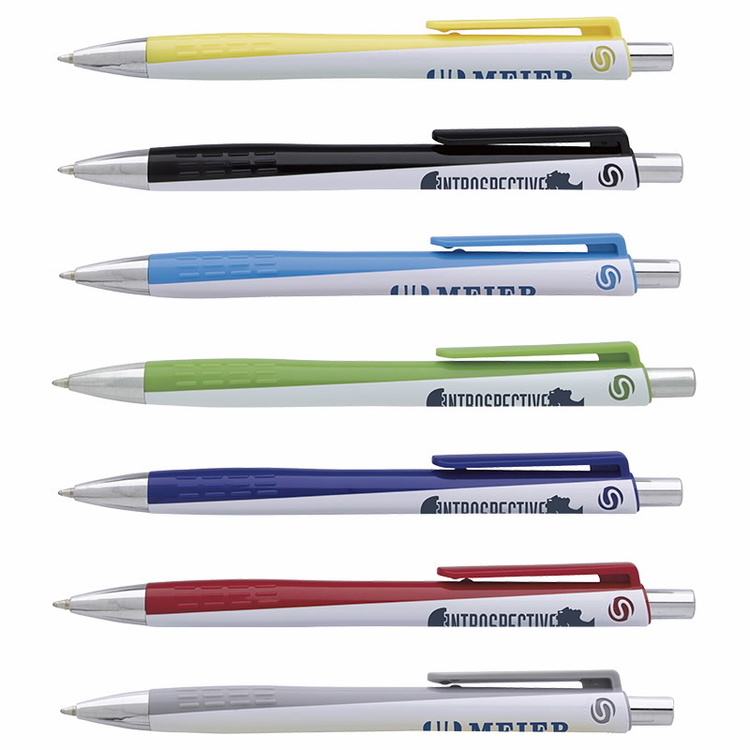 An elegant corporate gift or trade show giveaway, this plastic pen features a subtle diagonal silver trim in the middle of the barrel. It has a chic design that looks expensive, but in reality is very cost effective. 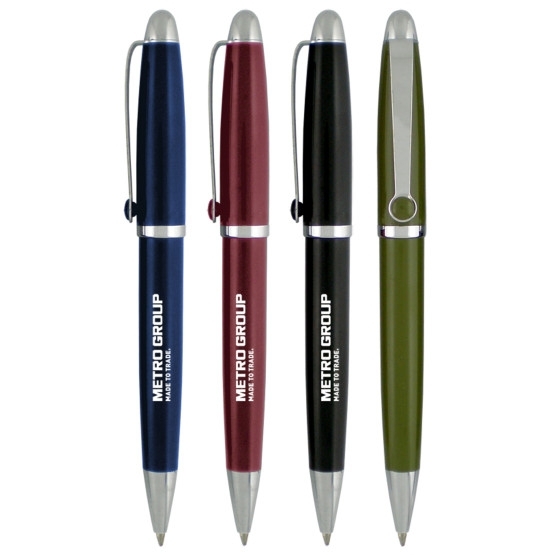 Available in several sleek color choices, customize this promotional pen with an imprint of your company name or logo for maximum brand visibility. 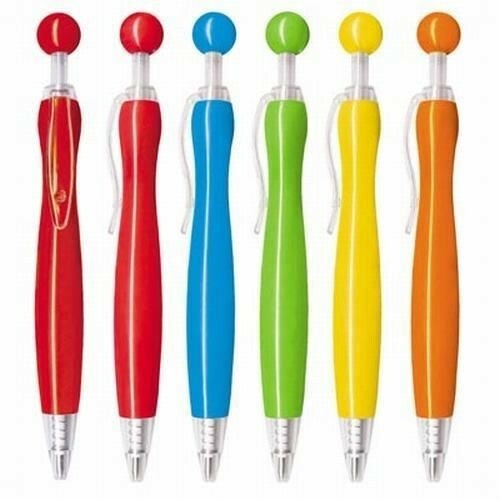 This handy writing instrument makes a wonderful office accessory! Invest in yours today. Your customers will know immediately that they are getting something that is green! 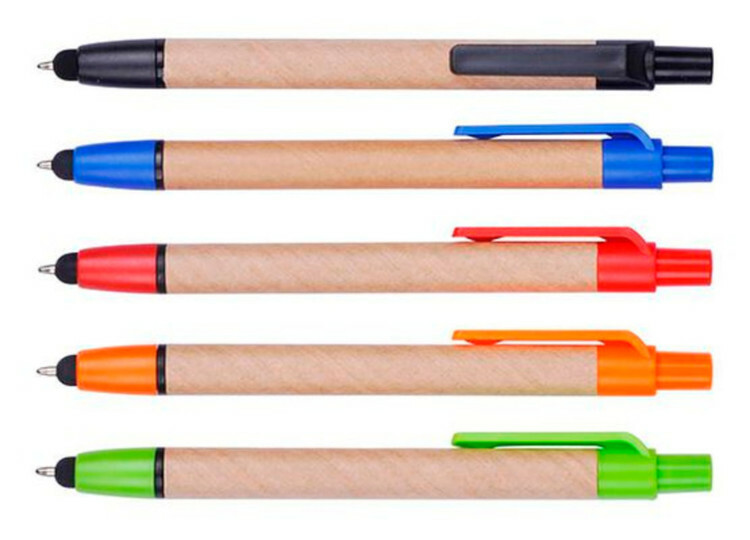 Made from eco-friendly, natural paper, this unique pen features a natural color with colored plastic tips and clips, a touch capacitive stylus for touch screen devices and ballpoint pen for everyday writing. Imprint your company name or logo by way of our pad printing method, present to your "green" customers. It's perfect for promoting environmental awareness, preservation campaigns, and other green causes. A ball click button and curved barrel.